No job is to BIG, No job is to small, we DO IT ALL!! 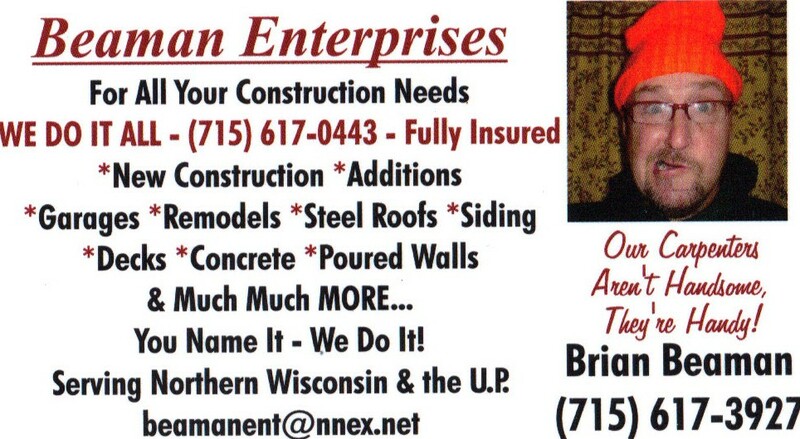 Beaman Enterprises is FULLY insured and licenced serving Northern Wisconsin and the U.P. We take pride in what we do, keeping our customers up to date on there project whether they are miles away or on location. Communication is our best tool, we keep you informed. We look for the best quality products, the best pricing and excellent workmanship. We will send you updates via email, pictures, phone calls and mail to keep you up to speed on your project.